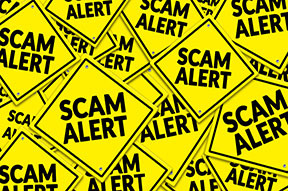 Scam Calls to Members Increase – Central Electric Cooperative, Inc.
Central Electric is receiving reports from increasing numbers of members that they are being targeted by scam calls. The callers — sometimes showing up as Central Electric on Caller ID — claim the member owes money, must pay immediately usually by meeting to deliver a pre-paid credit card, or their power will be cut off immediately. Go HERE to see how Central Electric handles late- or non-payment notifications. Hint: It is nothing like the scammers claim and gives members plenty of opportunity to pay before having service terminated.